BANGALORE: Narendra Modi may want information technology companies to flock to the Northeast but software services firms are saying the BJP prime ministerial candidate's wishes are unlikely to be fulfilled any time soon. The absence of technical manpower , exacerbated by the lack of infrastructure, prevents development of IT in the Northeast, insiders in India's $108-billion outsourcing industry said, reacting to Modi's exhortation. "Why can't Manipur be made into an IT hub," Modi asked, in a speech in Imphal, blaming the Congressled government for the Northeast's woes, including crumbling infrastructure and persistent "insurgency ." "There is no harm in considering the Northeast. 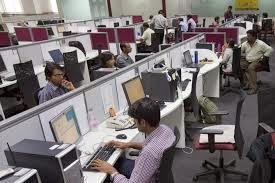 In fact, wherever IT industry goes, it gives people highpaying jobs," said Rostow Ravanan , chief financial officer at Bangalore-based Mindtree, which is setting up its largest training centre in Bubhaneshwar. However, "at this point of time, I don't see many IT firms setting up their centres in the Northeast because there aren't too many engineering schools," Rostow Ravanan said. The reasons for the IT industry shunning the region are fairly simple , according to industry insiders: "It is no rocket science ... beyond the existence of an airport, if there aren't good schools, hospitals and entertainment that the IT talent looks for," the region won't attract the industry, said one executive, who didn't want to be named. "Forget the Northeast, there's hardly any IT presence in Kolkata ," the person said. As long as smaller cities don't offer the type of availability of talent and infrastructure needed for the IT industry, young people will continue to flock to bigger centres such as Bangalore or Hyderabad. "It's primarily because of the physical and social infrastructure and the availability of talent and opportunities.The opportunity actually feeds off on the first three and then it becomes a cycle ... because there is a lack of opportunity the other three don't develop, so it's a little bit of a tricky situation," the person said. This means, once people decide not to move, then it's impossible to achieve scale in an industry such as the IT sector. Given the right incentives, however, not just India's large technology firms but even midsized companies would be willing to expand to tier-2 cities, which often bring their own advantages, such as people staying longer at their jobs, being more satisfied as they stay closer to their families and so on. The lack of technical manpower is the single most important reason for the industry to shun the region, and concerns such as less-than-stable governance seem to be more secondary. "The challenge lies in attracting large pools of technical manpower in the Northeast ," said Ganesh Natarajan, CEO of Pune-based Zensar Technologies. "The Centre should first set up four large universities in Guwahati, Shillong, Manipur and Arunachal, focused on employable skills," Natarajan said. Between 2011 and 2021, the region will have close to 17 million job seekers and only 2.6 million jobs, half of which will be in Assam alone, according to a January 2013 report by the Indian Chamber of Commerce and the consultancy PricewaterhouseCoopers . The National Association of Software and Services Companies, the industry's lobby, has tried getting the central government to consider a two-tiered incentive policy to encourage the IT industry to push deeper into smaller cities and towns. Such a policy is yet to materialise. Incentives could include support on capital investments, tax holidays and employment-generation based subsidies. India could even follow what China is attempting in trying to develop its interior provinces , where for each person a company hires, the government offers some incentives , industry insiders said.One executive, who didn't want to be named, said "we don't need incentives to work in Hyderabad, Bangalore or Chennai anymore. The industry needs incentives to work out of a Bhopal or Bhubaneswar and then gradually even a place like Guwahati may start looking attractive, but by choice I have no illusions about the industry moving to the Northeast anytime soon."